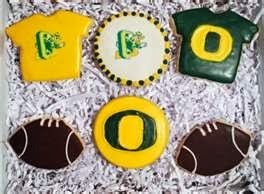 Cookies representing each team. 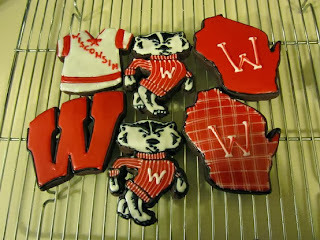 The Badgers cookies were found on Flickr and the Ducks cookies were found on The Bend Cookie Company. 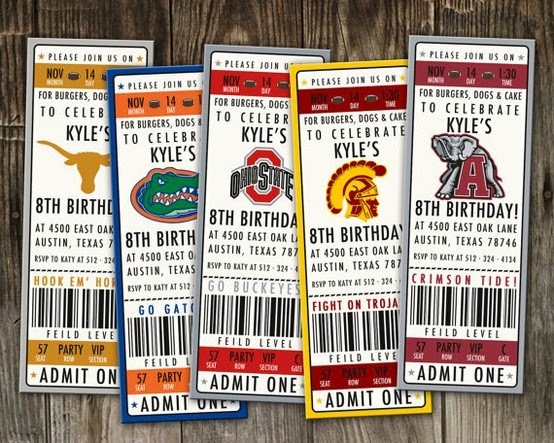 These football invitations from With Love Greetings would be fun for any football party. 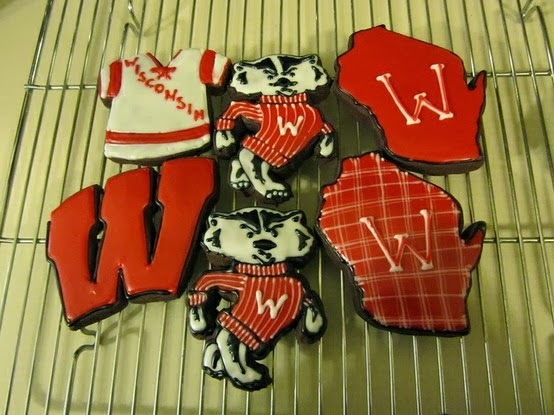 I'll have to keep these in mind for the Super Bowl. 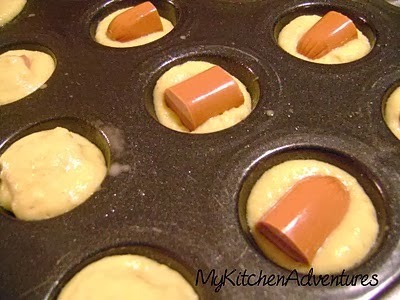 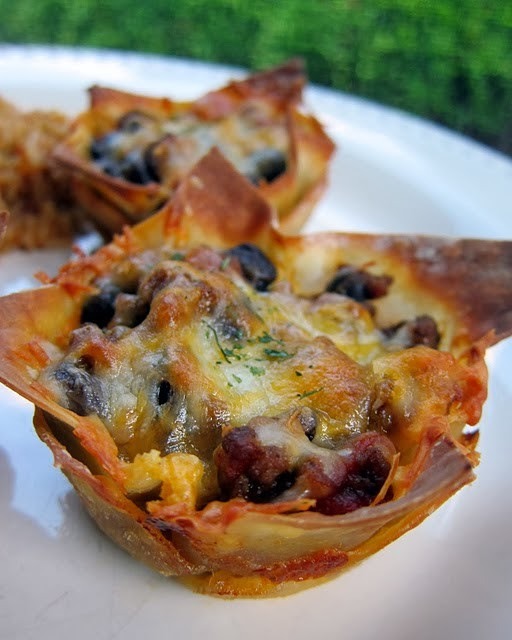 Taco cupcakes from Plain Chicken and mini corn dogs from My Kitchen Adventures would make good finger food.